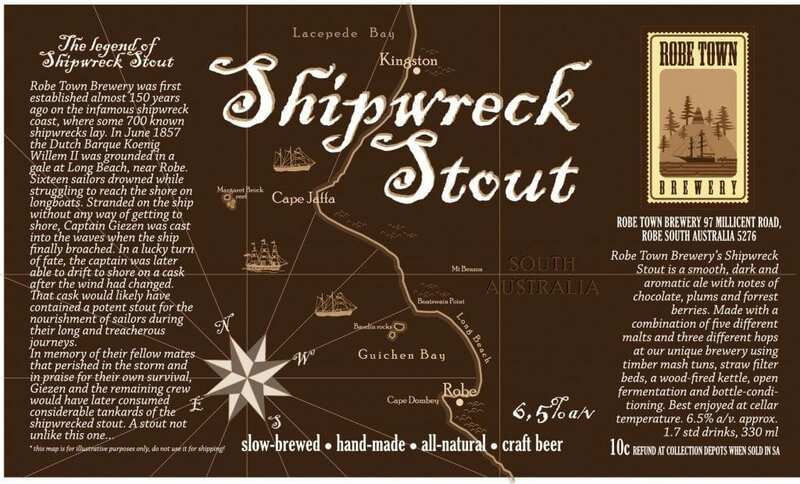 Robe Town Brewery’s Shipwreck Stout is a smooth, dark and aromatic ale with notes of chocolate, plums and forrest berries. 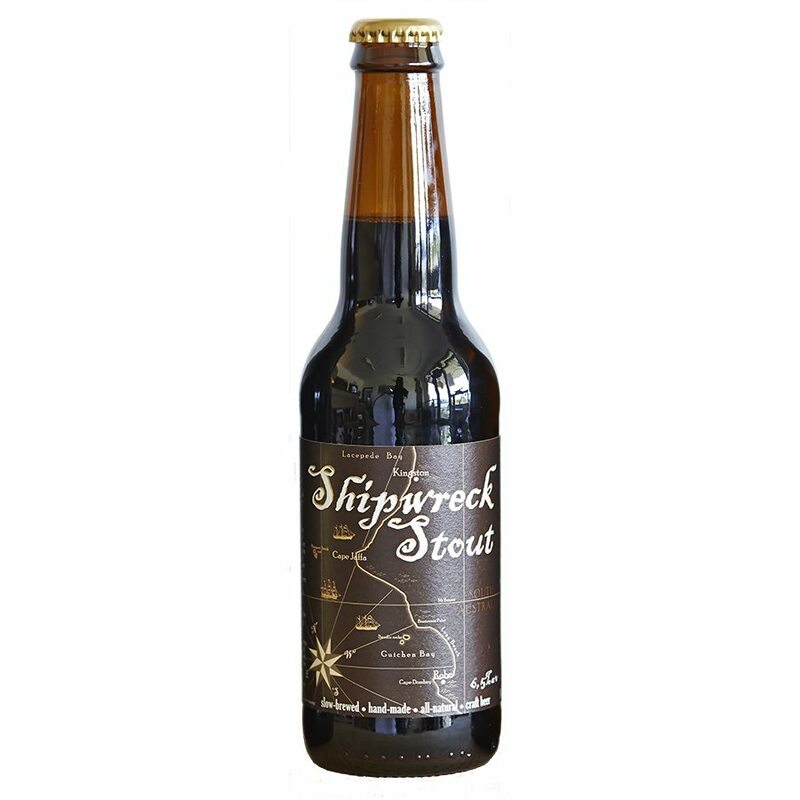 Made with a combination of five different malts and three different hops at their unique brewery using timber mash tuns, straw filter beds, a wood-fired kettle, open fermentation and bottle-conditioning. Best enjoyed at cellar temperature. With an earthy aroma hinting at dark plums, coffee beans and smoky liquorice, this smooth-drinking and textural stout brings a creamy flavour of woody espresso and chocolate, followed by a moreish, crisp finish. This is a relatively sweet, but very smooth drinking stout. Very light on the roasted barley bitterness, but packed full of flavour from generous additions of chocolate malt, caramalt and dark crystal malt. A smooth, earthy and balanced stout. One to savour. Will age very well.